Dorados Goalkeeper has revealed a huge tattoo of his current manager Diego Maradona's face on his thigh. 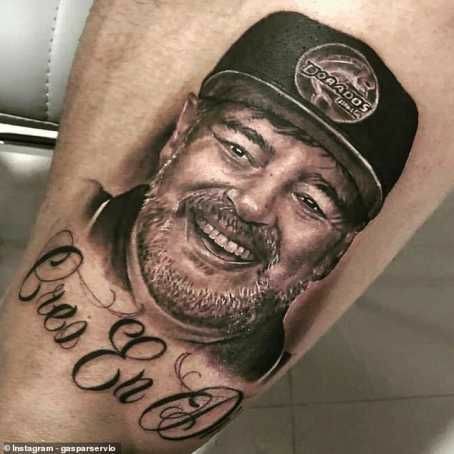 The 26-year-old shot-stopper uploaded the finished artwork of Maradona's face on his left leg on Instagram today. 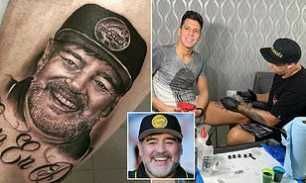 The Argentine legend took charge of the Mexican second-division club in September and Servio has shown how much he admires the club's boss by getting a tattoo of him on his body. 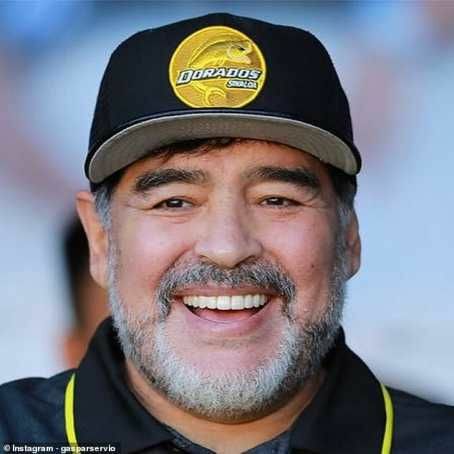 Alongside the ink of Maradona smiling and wearing a Dorados cap, the caption read: 'I believe in God,' which is also written in Spanish underneath the artwork. However, MySportDab report Dorados have lost their opening three matches in the Asceno MX and are currently bottom of the league.